Last Saturday, CNN published an article written by Eliott C. McLaughlin titled “A Case for Nas, Hip Hop’s Finest MC”, in which Mclaughlin orchestrated a reasonable and well thought-out case for why he believed Nas is the greatest emcee of all time. While my love for Nas is huge and I can’t argue with many of the points Eliott made in his article, I felt compelled to hold it down for the Kansas City King and make a case for Tech N9ne, hip hop’s Strangest emcee. I’m not out to rank Tech N9ne among any other emcees in Hip Hop, because to be honest it’s a completely relative matter of opinion, no matter how much people may try to claim otherwise. However, I am out to acknowledge a cemented spot in hip hop history for one of my personal heroes and an emcee I’ve been listening to for over a decade. On November 8th, 1971, just 2 years before DJ Kool Herc made history on Sedgwick & Cedar in The Bronx, Aaron Dontez Yates came into the world. It would take another 28 years for Tech N9ne and Travis O’ Guin to form Strange Music Inc., which, in my opinion, is one of the most amazing effects of Herc’s cause in ’73. 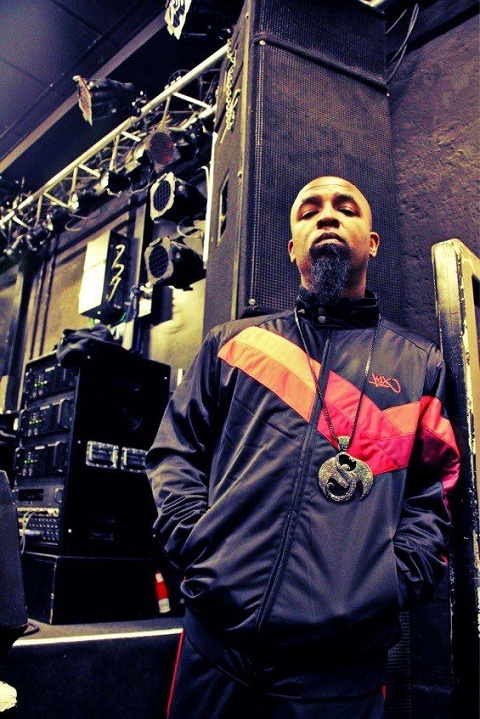 Since it’s inception in 1999, Strange Music has come to be the standard by which all other independent hip hop outfits should be compared to, and Tech N9ne has been at the helm of it all. Let me start by addressing Tech N9ne’s sound, because I feel that is the main root of Tech’s appeal. In hip hop, the emcee’s voice is often just as much of an instrument as those he’s rapping over, and nowhere is this more easily observable than in Tech’s flow. A unique voice in and of itself, coupled with a percussive cadence and powerful intonation make Tech N9ne’s delivery incomparable. Tech is able to match and often lend aid to drum patterns with his voice, something I feel a lot of today’s rappers could learn from. The next logical thing to acknowledge is Tech’s lyrical abilities, which coupled with his delivery make him one of the most (if not the most) unique rappers in hip hop. Tech N9ne has this weird ability to bend and manipulate the English language to make it serve his purpose. For those not willing to venture beyond the surface, some of Tech N9ne’s lyrics may come off as borderline nonsensical. However, damn near every time that appears to be the case, a closer listen will reveal depth and meaning beyond what one might have imagined possible from words that sometimes don’t even exist until Tech N9ne decides they do. If you doubt this at all, look at “Caribou Lou” (arguably Tech N9ne’s most club-type party track) on RapGenius. As part of Tech’s lyrical ability, I’d also like to address a skill that was mentioned in Eliott’s case for Nas: storytelling. In this category, I feel Tech N9ne easily matches Nas. Both emcees are incredibly talented at the art of storytelling, and both use examples from their own lives to tell their own stories as well as the stories of others. One could argue that Tech N9ne’s body of work is basically an auditory autobiography, and they wouldn’t be wrong. One thing I’ve learned for certain while working at Strange Music is that Tech N9ne raps what he lives. The final point that I will make in my case for Tech N9ne is another one that was made in the case for Nas: longevity. While Nas is turning 40 in September, Tech N9ne is over 40 already and is still putting out quality hip hop at a rate much more frequent than Nas. Again, I’m not here to rank the quality of these two rappers or their work, just stating my opinion along with the fact that Tech has put out quite a few more projects than Nas. Tech N9ne has been in the game for over 20 years, and has continued to not only remain relevant, but grow as an artist and challenge new listeners and long time Technicians alike with new content and musical styles. It’s hard to say how much longer Tech N9ne will remain a fixture in Hip Hop. He’s recently expressed his desire to remain a part of the business even after he’s no longer behind the mic, and knowing Tech N9ne, it could be another decade before that’s even a possibility. All this writer knows is that for the last 20 years, Tech N9ne has continued to challenge, inspire, and even save lives with his inventive and 100% genuine content and delivery, and that alone reserves him a seat at the table of all time hip hop greats. Who do you think is the greatest rapper of all time?